Ekiti State governor Ayo Fayose loves attention. 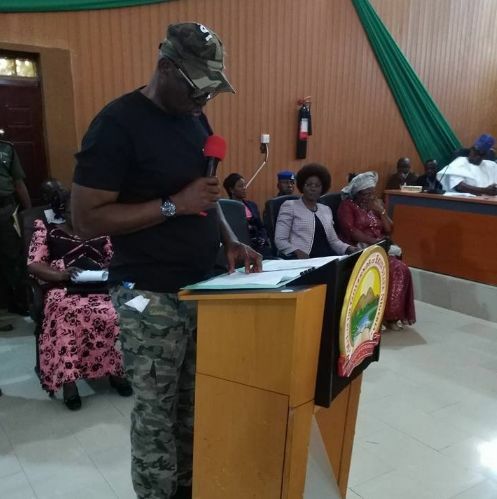 He knows that the military frowns at civilians who wear camouflage, yet he decided to wear same to the House of Assembly today. Very funny man.